The second major acquisition of a UAE-based tech company in as many years is good news for the country. It shows the UAE has the will and the capability to start and build companies with enough innovation to attract international attention and investment. But the region is not likely to see anymore unicorns without significant changes in both the investment environment and technological infrastructure, especially following the collapse of Abraaj. The UAE’s tech sector has long complained about the lack of significant venture capital or angel funding. 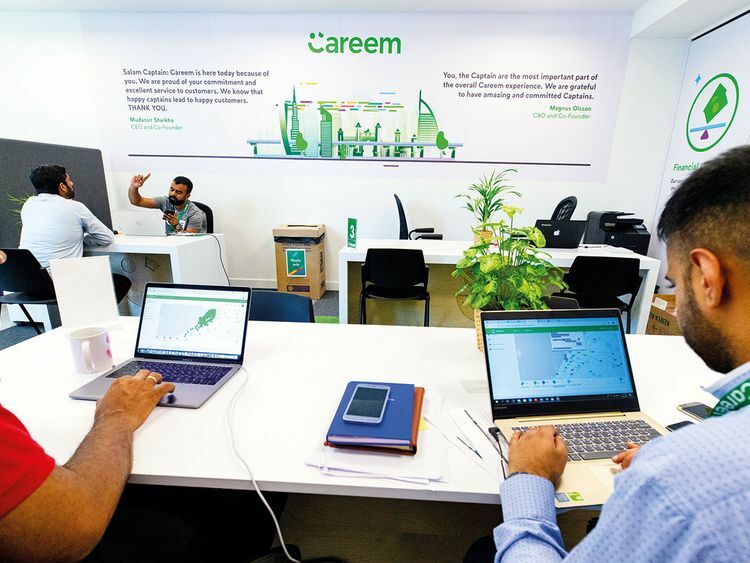 Abraaj helped to raise funds for both Careem and Maktoob.com, a Dubai-based company acquired by Yahoo! in 2009. Souq.com, which was purchased by Amazon in 2017 for $580 million (Dh2.13 billion), got its start as an auction site linked to Maktoob. A quick analysis shows that most of Abraaj’s investments in the wider region generally only went to “proven” models, such as e-commerce and transportation network companies, arguably with an international acquisition being the end goal of the investors. With Abraaj gone and many banks averse to lending to small companies, the UAE needs to develop ways to fund companies and keep them, from start to finish, as local endeavours. Continuing to build and sell companies will not be sustainable and may only provide a pyrrhic victory to the people who live here. Amazon’s purchase of Souq.com means more products for consumers in the region, but it will put more pressure on local retailers. Uber’s acquisition of Careem is expected to increase the cost of getting a ride. Finally, it will be hard for start-ups to compete internationally with those in other countries that can easily cut costs by relying on internet-based services just as cheap VoiP calls and data services. Many local companies have said it has been frustrating for them to have to find alternatives to the widely-used services, such as Skype. Countries have a legal right to set the laws of how their telecoms operate, but they should consider the international implications. The UAE has shown it can produce Unicorns, but the country won’t see a herd unless it provides the best possible environment for them.